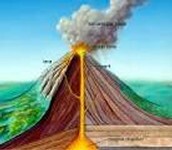 Volcanoes can form by plates collide head on and one plate descends beneath the other plate. 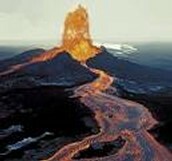 Term volcano is used for any opening in the crust through which molten rock,gases and rocks fragments eruptions. In the text it said "The word eruptions is also used for land forms which gradually build up as material is deposited onto the surface after several eruptions." 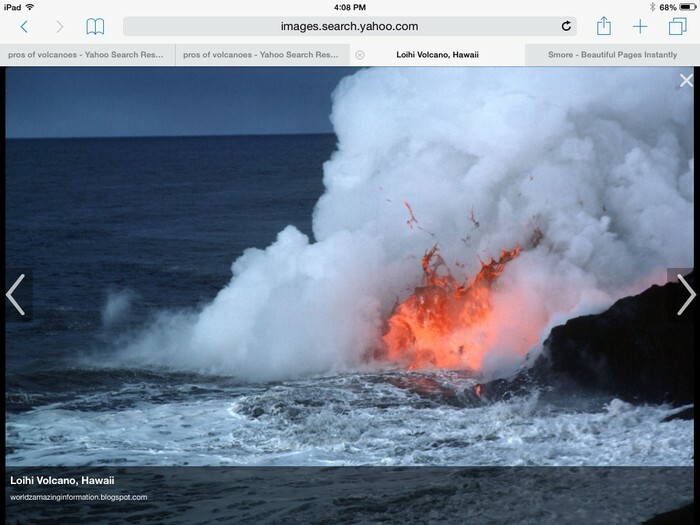 Volcanoes mostly happen in Hawaii,home to the world's most active volcanoes. In the text it says"In 2012 the volcano explosion was so large that the magma flower seven miles. Volcanoes makes at-least 80% of the land. Volcanic ash is a very good building material. Ash will turn into rich soil so farmers will have better crops. Ash kill more than lava. More than 90% of active volcanoes are in the ring of fire. Some volcanoes can destroy cities like Pompeii. This is why you should live in Hawaii because scientist are knowing when volcanoes are going to erupt.Also there was a volcano which will erupt in 20 more years.